How do I screen share a slide deck? 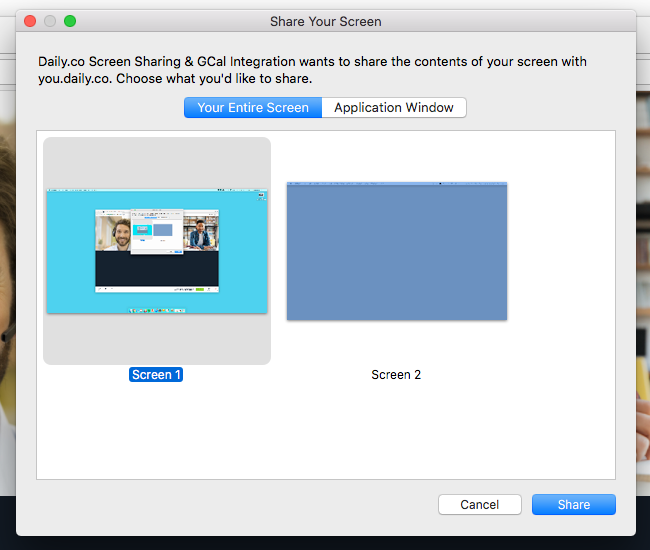 To screen share in "present" (Powerpoint) or "play" (Keynote) mode, you need to screen share your entire desktop. Note: "Present" mode won't work if you only screen share your application window! It will only work if you share your entire desktop. The first time you screen share, install the Daily.co Chrome extension. Click Screen Share in your menu. A window pops up, where you choose what to screen share. You now are sharing your entire desktop and can start your presentation.